What was once an unnecessarily luxurious item for those with thousands of dollars just waiting to be spent is quickly become an extremely practical piece of technology which is becoming more and more common in households across the globe with each passing year. As such, you may have heard a lot of buzz about these printers and have been thinking of picking one up for yourself. However, because 3D printers are still a relatively new technology with a price to match, it can’t hurt to go out of your way to make sure you’re getting the best possible unit available at your disposal. In this review, we’ll not only help you figure out what it is you should be looking for in a 3D printer, we’ll even offer a few examples of the best models on the market, ensuring your money is well-spent. The QIDI Technology 3DP-QDA16-01 markets itself as being one of the most heavy-duty 3D printers which may still be suitable for residential use. Said heavy-duty stature is immediately apparent through its well-above-average size. Weighing in at over forty-five pounds, you can be sure it can tackle any job you might ask of it in a timely and efficient manner. Despite being so clunky, nearly all previous customers of the QIDI Technology 3DP-QDA16-01 praise it for its relatively high ease of use. This is attributed to its easy-to-navigate software and the manufacturer’s apparent willingness to help you get everything set up and running smoothly. The QIDI Technology 3DP-QDA16-01 also comes with a rather quick printing speed. This is especially true when you stack it up to other 3D printers within its price range. Of course, this is one of the most important factors to look at when thinking about buying any 3D printer, as a unit’s printing speed is often a great indication of its overall level of quality. The hardware also comes preassembled, which is another huge plus. After taking it right out of the box, the only real hurdle you’ll find yourself contending with is installing the software, though this should prove an easy ordeal, especially with the manufacturer’s excellent customer support. 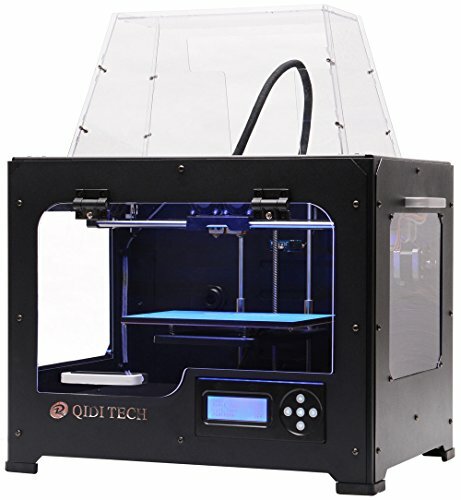 Simply put, the QIDI Technology 3DP-QDA16-01 is just the printer for you if you simply want the model that does it all and don’t mind paying a premium for such a luxury. Labeled a “desktop printer,” the Comgrow 3D Desktop Printer is similar to the above model we just covered in that it works great as a small, personal printer. This is something you’ll be able to use anywhere, no matter any given location’s spatial limitations. While it may not be the most impressive printer in terms of its functionality (at least when stacked up to the other two on this list), you’ll likely find it to be a great learning tool if you plan on getting into larger and/or more complex 3D printers in the future which will require a great deal of understanding. This is due to the fact that the Comgrow 3D Desktop Printer actually has no outer casing. You’ll be able to see every single part working together right in front of your eyes. It also does a rather above-average job of all the basics (printing speed, resolution, etc.) when compared to other printers in its price range, making it a great model overall. The Da Vinci Jr., as its name might begin to suggest, is one of the most compact units among 3D printers of roughly the same quality. This is rather impressive, being that it is able to function as efficiently as some models up to twice its size and weight. The printer in question seems to place its focus majorly within the realm of ease of use. 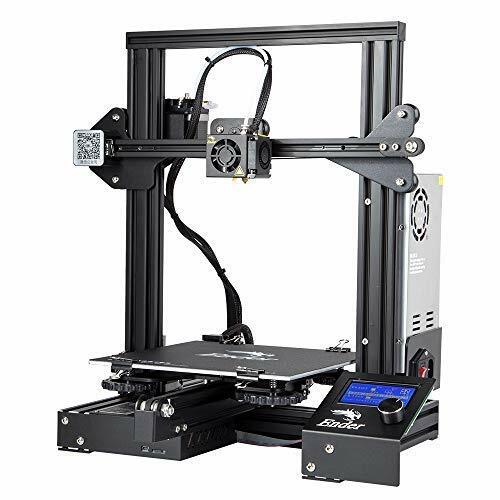 In fact, when buying a 3D printer on this basis alone, the Da Vinci Jr. is likely your very best choice, both within and outside of its price range. Being such a new technology that most of us don’t have years of experience with, it’s certainly a huge plus to have a printer which gives you little hassle while in use. This effect is achieved both through the printer’s simple software and its light weight. In contrast to many other high-quality 3D printers, you’ll find that the Da Vinci Jr. can fit comfortably on a desk, making it great even in rooms which would otherwise be too small to warrant the use of a 3D printer. This makes it great for commercial and residential use alike. The printer’s best characteristic is easily its great cost-to-quality ratio, making it the very best choice if your main priority in your next printer purchase is getting a great bang for your buck. All of the above three printers are quite similar in terms of their ability to function. The means by which they function; however, will vary from model to model. The QIDI Technology 3DP-QDA16-01, for example, comes in a very heavy-duty package which is sure to quickly and efficiently print anything you may need it to. On the other hand, it may be rather impractical when used in situations where space is a commodity. In which case, you’re better off going with one of the other two models. For a more “entry level” 3D printer, the Comgrow 3D Desktop Printer is sure to help you along your way to learning just how it is these printers work in the first place, opening the door for more advanced models later on down the road. 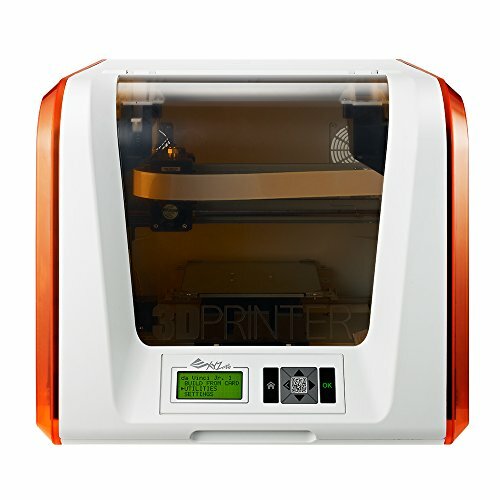 If; however, you know you’ll be happy with a basic 3D printer indefinitely and have no reason to expand your knowledge in this regard, the XYZprinting Da Vinci Jr. will give you a level of quality that you simply cannot find in similarly-sized/similarly-priced 3D printers. What is a 3D Printer? If none of the above printers seem to have just what it is that you’re looking for, you may find it beneficial to do some shopping on your own. After all, this is a flourishing technology, one which sees new installments and advancements on what almost seems like a weekly basis. However, despite the technology constantly changing, there are a few buying strategies which always stay the same. Keep the following considerations in mind when shopping for your next 3D printer to ensure you get the best possible product for your needs. How much printing speed do you need? In terms of how your printer functions, a higher printing speed is always a good thing. As such, it can be tempting to opt for a printer which preforms exceptionally well in this regard. However, if a high printing speed didn’t cost any extra money, no printers would have a low printing speed. You can be sure that a higher speed translates to a higher price tag. As such, it’s important to think about just what it is you’ll be using your printer for. If you plan on taking on large projects, you might want to get something which does the job relatively quick. If you’ll be dealing majorly with smaller projects, which take little time to complete anyways, you can likely get away with a lower speed, thus saving you a significant amount of money in the end. What resolution do you need? As with a printer’s speed, a higher resolution always translates to a higher overall level of functionality. However, depending on just what it is you plan on printing in the first place, you might not even be able to notice the difference between a high and low resolution. As such, if you know you’ll be printing off objects which rely very little on smaller details, you may be able to skimp on resolution with no apparent downsides. On the other hand, more intricate designs will require a higher resolution to fully utilize. Knowing what you’re going to be printing before picking out a designated printer can get you exactly what you need without having you pay extra for features you won’t end up using. How much space to you have to store your printer? If you’re shopping for printers in person, this isn’t too much of an issue. If you’re shopping online; however, it’s imperative that you resist the urge to judge a printer by its picture. 3D printers are built with a completely different formula than the standard printers we’ve all grown accustomed to over the years. Know how much space you have on your desk or office floor and choose your printer accordingly through reading its physical specifications. It also can’t hurt to take some measurements beforehand. Just two minutes of your time can mean the difference between a great 3D printer and a five-hundred-dollar scrap of metal that you can’t even use. You can find some printers which come in the form of many different parts jumbled together that you must put together. Sounds like a hassle, right? Not so fast. If you plan on dealing with more advanced 3D printers in the future, you really need to begin learning the ins and outs of just how it is these machines work in the first place. What better way to learn than by actually building one yourself? Of course, you won’t be welding pieces together. However, undergoing a bit of basic assembly can really help you be on your way to mastering the 3D printer one and for all. On the other hand, you may have no interest in switching to a more advanced printer in the future. Or perhaps you find yourself calling a professional whenever things go wrong with your electronics (and rightfully so; we don’t always have time for DIYing). If this sounds like you, you may be able to get away with a unit that comes in one solid piece. Whether or not you feel this will inhibit your future 3D printing experiences is up to you to decide. There are a few features you should always look out for in a 3D printer. Such features will often make running your new printer a rather seamless experience. Try keeping an eye out for the characteristics listed below when shopping for a new 3D printer. A Large Print Area – What size your printer should be will all come down to your own requirements. However, no matter the size of your printer, it’s always good to see its printing area account for a very large portion of its overall mass. This allows you to get more done with less space. Included Software – You can find a large variety of 3D printing software all over the net for free. While it may be worth experimenting with these at some point or another, who better to offer you software for your new printer than the people who actually built it in the first place? Although this may not be as important if you’re rather experienced in the world of 3D printing, it’s always nice to see some degree of automation in the setup of a new model you have yet to experience for the first time. Included Filament – Once again, this may be less important if you’re experienced with these printers, though it will still prove a nice bonus nonetheless. While I’d certainly never recommend buying a 3D printer based solely on whether or not it comes with filament, if you’re on the fence between two different models, take a look to see which one has filament included. Mastering the 3D printer may take a bit of time. As such, why waste it shopping? By remembering everything we’ve covered in this buyer’s guide, walking away with a great printer should take no time at all. If you simply don’t know where to begin looking, keep in mind the three products we covered earlier, as this is a great starting point. Darius is our Electronics, Tools and Music writer. He's a self-proclaimed music geek who loves laying down tracks in his spare time. Darius worked for a well-known tool company for 7 years before joining the ThoroughlyReviewed.com team.